Enhanced IDE (ATAPI) bus interface (UDMA/66/100). CD Transfer Rate 48X max CAV ~ 7200 KBytes/s max. Accessories: user manual, fastening bolts, CD audio cable, a diskette with drivers, a CD with drivers and a soft-DVD player (WinDVD). DDSS2 (Double Dynamic Suspension System) supported. Unfortunately, there is no an 80-conductor ATA/66/100 cable for connection to a respective controller. However, the tests show that it doesn't matter how the drive is connected - as UDMA/33 or UDMA/66/100. The front panel has two buttons for Audio CD playback - Open/Close/Stop and Play/Skip. The front panel also has a rubber layer which eliminates noise and protects from dust. 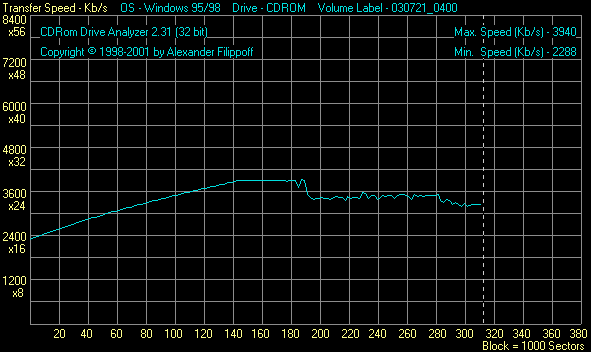 According to these data the drive supports all functions necessary for accurate capture of audio tracks. A list of speed modes is really striking. But the range of speeds is actually wider. 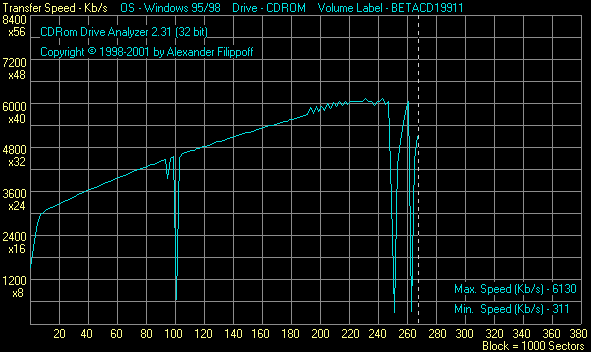 Direct copying of data from a 780 MBytes CD-R onto a hard disc. 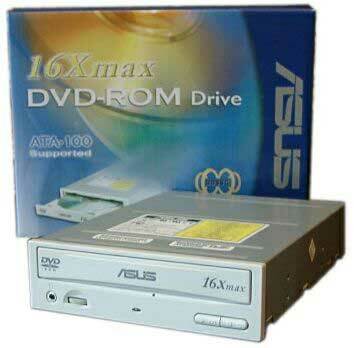 The drive read the 780 MBytes disc very good. The time of full copying is 4 min. 20 sec. At the maximum speed the noise level was acceptable. Unfortunately, there is no anymore a possibility to reduce a speed of operation with CDs with the Play button, though it is possible with the help of external programs (CDBremse, Nero DriveSpeed). Also, you can set any speed within the range of 2x and 6x to 48x. The DVD-Video was played without any problems; no artifacts were noticed. During changing the layer the DVD quality didn't get worse, although a layer changing time is quite big. The drive is equipped with the DDSS2 system. 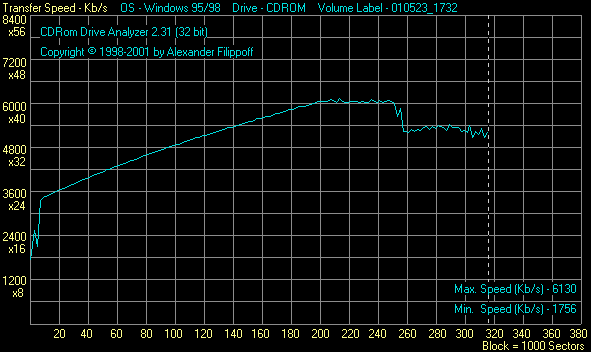 When the drive worked with badly balanced CDs it didn't shine. The vibration was quite noticeable. Probably a speed growth adversely affected operation of the DDSS2. Possibility to make the drive region free (RPC-1). According to www.firmware.fr.st, it is impossible to make this drive region free. However, there is one loophole. To nullify the zone changing meter you should turn off the computer and press and hold play/stop buttons. Then holding these buttons you should turn on your computer and wait until the BIOS finishes detecting hard drives and CD-DVD drives in the system. Then release the buttons. If you hold them too long the computer may hang. Then you should just reboot it.